TLJ Daily E-Mail Alert No. 2,119, August 5, 2010. August 5, 2010, Alert No. 2,119. 8/5. Edward Lazarus, Federal Communications Commission (FCC) Chairman Julius Genachowski's Chief of Staff, issued a release on Thursday afternoon, August 5, 2010, regarding closed door negotiations over the FCC to promulgate internet regulations. Lazarus wrote that "We have called off this round of stakeholder discussions. It has been productive on several fronts, but has not generated a robust framework to preserve the openness and freedom of the Internet -- one that drives innovation, investment, free speech, and consumer choice. All options remain on the table as we continue to seek broad input on this vital issue." On August 4 and 5 Members of Congress and others commented on reports of a potential deal between Verizon and Google regarding such regulations. Rep. Anna Eshoo (D-CA), a member of the House Commerce Committee (HCC) and its Subcommittee on Communications, Technology and the Internet (SCTI), stated in a release that "I have real concerns about the reports of a potential deal between Verizon and Google on net neutrality. FCC Chairman Genachowski is making progress on net neutrality, but he must act quickly to protect an open and free internet. And I believe these reported side deals by companies risk undermining his efforts." Rep. Eshoo (at left) continued that "Premium pricing for access to the internet, whether accessing it via phone or internet, is bad for consumers, especially those who can’t afford to pay for high speed access. This would widen the gap between the haves and the have-nots." "I remain a champion to ensure that the next Google is able to flourish on the internet, and not have its content sit in the slow lane", she said. Similarly, Rep. Ed Markey (D-MA) stated in a release that "The potential deal between two broadband behemoths underscores the need for the FCC to act quickly to protect the free and open Internet. In the absence of such action, it’s increasingly clear that cozy cooperation between communications colossi will reign on the Internet. No one should be surprised that such companies will seek to slant the playing field in their favor, a result that will stifle the next generation of Internet innovators and short-circuit the economic benefits needed to power our economy in the 21st century. It is time for the FCC to step in to protect consumers, innovation, and fair competition." The New America Foundation (NAF) stated in a release that "After weeks of closed-door meetings sanctioned by the Federal Communication Commission, two of the largest corporations in the communications industry have reportedly negotiated an agreement on network neutrality. Though details of the agreement are not available, its terms are immaterial. It should not be the policy of the FCC to allow the largest companies to write the regulations that will determine the future of the Internet." See also, story titled "FCC Discloses Ex Parte Meetings With Stakeholders" in TLJ Daily E-Mail Alert No. 2,099, June 22, 2010. Kyle McSlarrow (at right), head of the National Cable and Telecommunications Association (NCTA), stated in a release on August 5, after Lazarus's announcement, that "We are committed to preserving a free and open Internet, and continue to believe it is possible to do so through targeted legislation that establishes a framework that serves consumers and spurs investment and innovation throughout the Internet ecosystem." He continued that "We therefore applaud Chairman Genachowski and his team led by his Chief of Staff, Edward Lazarus, for their leadership in fostering discussions that had this very reasonable goal in mind. We believe these conversations produced significant progress toward a consensus on a variety of difficult issues, and are disappointed that all issues could not be resolved. But we will continue to work with legislators, the FCC, and other stakeholders who seek such constructive solutions." AT&T's Jim Cicconi stated in a release that "We are disappointed that the net neutrality talks convened by the FCC have broken down. Over recent months, we have negotiated in good faith to bridge differences in our common goal of preserving the open Internet. To that end, we put a number of significant concessions on the table and, despite today’s setback, remain convinced that a consensus solution can be achieved. Moreover, we believe a consensus solution is vital if we are to ensure continued investment and job creation in the Internet space." Derek Turner of the Free Press (FP) stated in a release on August 5 that "We welcome the FCC's decision to end its backroom meetings. Phones have been ringing off the hook and e-mail inboxes overflowing at the FCC, as an outraged public learned about the closed-door deal-making and saw the biggest players trying to carve up the Internet for themselves. We're relieved to see that the FCC apparently now finds dangerous side deals from companies like Verizon and Google to be distasteful and unproductive." He elaborated that "Now the FCC must match the chairman's words with decisive actions. We need our leaders in Washington to make the tough decisions and take on the difficult task of standing up to entrenched interests and pushing forward strong rules that will protect Internet users everywhere. Today, Julius Genachowski and the FCC took a big step back from the brink and gave everyone who cares about the free and open Internet reason to be hopeful that they still might do the right thing." The FP's Josh Silver stated in a release on August 4 about a potential Google Verizon agreement that "such a deal would effectively create two Internets where application and content innovators have to ask Verizon and Google for permission to reach mobile Internet customers. Such a deal would make it more difficult for independent and diverse speakers to reach a broad audience and diminish the value of the mobile Internet as a new marketplace for ideas. It would mean that mobile consumers would no longer be able to access the same websites, applications and software as anyone else on the Internet." Silver stated that the FCC "must reject this framework and end the closed-door stakeholder negotiations it is now holding. The FCC cannot stand by and allow the biggest market players to create two Internets, it must enact real Net Neutrality protections". Gigi Sohn (at left), head of the Public Knowledge (PK), stated in a release on August 5 that the FCC "must act to ensure that consumers are protected, that everyone can have access to broadband and that the Commission has the authority to ensure and open and non-discriminatory Internet. It can do that simply by acting on the dockets now pending before the Commission." She added that "We were concerned about the negotiations because they were largely restricted to the biggest industry players. The FCC now can use the comments and public views submitted to it as a basis for its decisions, as the Commission should have done all along." See also, the PK's August 4 release. 8/5. Federal Communications Commission (FCC) Chairman Julius Genachowski issued a release that states that "FCC staff has begun consultations with staff of the Antitrust Division of the Department of Justice (DOJ) about how the two agencies can apply their different statutory standards to wireless merger divestitures in a more coordinated manner". The DOJ and the Federal Trade Commission (FTC) have statutory authority under the Clayton Act to conduct antitrust merger reviews. The FCC does not. It made up its authority in the late 1990s. It has since conducted redundant proceedings, although without the economic expertise of the DOJ and FTC. Genachowski stated in this release that "Increased coordination between DOJ and the FCC on divestitures will benefit small businesses, new entrants and all parties to merger transactions. I am particularly grateful to Commissioner Clyburn for highlighting this issue, and for her focus on, insight into and contributions to ensuring our progress in this area." FCC Commissioner Mignon Clyburn stated in her own release that "I believe it is crucial that specific guidance is provided to both interested buyers and sellers, so that both DOJ's requirements and the FCC's policy goals are satisfied. I look forward to working with the Chairman's Office and staff, on the specific guidance that the FCC should make available to all relevant entities in the divestiture process, to ensure that small businesses and new entrants have a realistic opportunity to purchase communications assets in the future." See also, Clyburn's April 20, 2010, statement in which she noted the FCC's and DOJ's "potentially discordant goals". 8/5. Rep. Joe Barton (R-TX) and Rep. Ed Markey (D-MA) sent a letter [PDF] to Comcast and 14 other companies regarding "the nature, scope and prevalence of Internet companies' use of consumers' personal information gleaned from their online activities". They noted that the "Congress prepares to consider comprehensive privacy legislation". They propounded numerous written interrogatories. For example, "What specific information about consumers does your company collect, either through your own website or through business relationships with third parties? ", and "How does your company use the information it collects, both directly or through third parties"? The two also asked for information about business relationships, methods of collection of consumer information, privacy policies, sale of information, third party tracking devices, targeted content, and opportunities for consumers to opt out or opt in. They sent letters to About.com, Answers.com, AOL.com, Careerbuilder.com, Comcast.net, Dictionary.com, Live.com, Merriam-Webster.com, MSN.com, MSNBC.com, Myspace.com, Photobucket.com, Verizonwireless.com, Yahoo.com, and Yp.com. The two request responses by August 12, 2010. See also, Rep. Barton's release and substantially identical release of Rep. Markey. 8/4. The Progress & Freedom Foundation (PFF) released a paper [12 pages in PDF] titled "Grokster Redux: Why the Summary-Judgment Ruling in Viacom v. YouTube Should Be Reversed". The author is the PFF's Thomas Sydnor. On June 23, 2010, the U.S. District Court (SDNY) issued an opinion and order [30 pages in PDF] in Viacom v. YouTube, granting summary judgment to the defendants. The District Court held, on cross motions for summary judgment, that the activities of YouTube at issue in this action fall within the safe harbor protection of the Digital Millennium Copyright Act (DMCA), codified at 17 U.S.C.§ 512(c). See, story titled "District Court Grants Summary Judgment to YouTube in Copyright Infringement Case" in TLJ Daily E-Mail Alert No. 2,100, June 23, 2010. Sydnor wrote that the Court "concluded that because the original founders of YouTube had responded to takedown notices, they were protected from monetary civil liability -- even if they were also intentionally inducing profitable mass copyright piracy just like the Defendants in MGM Studios, Inc. v. Grokster, Ltd."
He argued that "That conclusion should be reversed on appeal for at least two reasons. First, no judge can legally find an absurd civil safe-harbor for criminal wrongdoing lurking in the unspoken implications of the ``tenor´´ of scraps of legislative history. Second, no judge should imagine that the DMCA used terms that judges developed to convey the lack of any knowledge requirement in order to tell judges to impose an ``item-specific´´ knowledge requirement." He predicted that "the Viacom Opinion will be probably be reversed on appeal". 7/29. The American Civil Liberties Union (ACLU) released a report [PDF] titled "Establishing a New Normal: National Security, Civil Liberties, and Human Rights Under the Obama Administration". It concludes that the Obama administration's "record on issues related to civil liberties and national security has been, at best, mixed." It also concludes that "With limited exceptions, the Obama administration's positions on national security issues relating to speech and surveillance have mirrored those taken by the Bush administration in its second term." It states that "Early in his campaign, candidate Obama declared that he disagreed with President Bush's decision to authorize the National Security Agency to conduct warrantless surveillance of Americans' international telephone and email communications. He later voted in favor of the FISA Amendments Act, however, a statute that granted immunity to the telecommunications corporations that had facilitated the NSA's program, limited the role of the court that oversees government surveillance in national security cases, and authorized the NSA to continue -- and even expand -- its warrantless surveillance of Americans' international communications. In effect, candidate Obama made clear that his objection was not to warrantless surveillance, but rather to warrantless surveillance without congressional approval." President Bush signed HR 6304 (110th Congress) [LOC | WW], the "Foreign Intelligence Surveillance Act of 1978 Amendments Act of 2008", on July 10, 2008. It is now Public Law No. 110-261. The ACLU paper finds that in the last eighteen months the Obamas administration "has defended the FISA Amendments Act in the same way that the last administration did so: by insisting that the statute is effectively immune from judicial review." In addition, "Individuals can challenge the statute's constitutionality, the administration has proposed, only if they can prove that their own communications were monitored under the statute; since the administration refuses to disclose whose communications have been monitored, the statute cannot be challenged at all. In some ways, the administration’s defense of the statute is as troubling as the statute itself." Finally, the ACLU paper states that "The Obama administration has been reluctant to yield any of the expansive surveillance powers claimed by the last administration. It has pushed for the reauthorization of some of the Patriot Act's most problematic surveillance provisions." The House is in recess. It will next meet on August 9 and 10, and then at 2:00 PM on September 14, 2010. 8:00 AM - 12:30 PM. Day three of a three day meeting of the National Institute of Standards and Technology's (NIST) Information Security and Privacy Advisory Board (ISPAB). See, notice in the Federal Register, July 13, 2010, Vol. 75, No. 133, at Pages 39920-39921. Location: Marriott Hotel Washington, 1221 22nd St., NW. 10:00 AM. The U.S. Court of Appeals (FedCir) will hear oral argument in Extreme Network v. Enterasys Network, App. Ct. No. 2009-1325, an appeal from the U.S. District Court (WDWisc) in a patent infringement case regarding computer networks technology. Location: Courtroom 201. 10:00 AM. The U.S. Court of Appeals (FedCir) will hear oral argument in Western Union v. Moneygram, App. Ct. No. 2010-1080, an appeal from the U.S. District Court (WDTex) in a patent infringement case regarding money transfer technology. Location: Courtroom 201. Deadline to submit initial comments to the Federal Communications Commission (FCC) in response to its Notice of Proposed Rulemaking (NPRM) regarding license renewals, discontinuance of operations, geographic partitioning, and spectrum disaggregation for certain Wireless Radio Services. The FCC adopted this NPRM on May 20, 2010, and released the text [71 pages in PDF] on May 25, 2010. It is FCC 10-86 in WT Docket No. 10-112. See, notice in the Federal Register, July 7, 2010, Vol. 75, No. 129, at Pages 38959-38974. The House will meet at 7:00 PM in pro forma session. See, Rep Steny Hoyer's (D-MD) schedule for the week of August 9, 2010. The Senate will meet at 2:30 PM. It will consider the nomination of Jane Stranch to be a Judge of the U.S. Court of Appeals (6thCir). The House will meet at 10:00 AM for legislative business. t will consider HR 1586 [LOC | WW]. See, Rep Steny Hoyer's (D-MD) schedule for the week of August 9, 2010. 6:00 - 8:15 PM. The DC Bar Association will host a panel discussion titled "The Legal Duty to Provide Information Security: Who, What, When, Where and How". 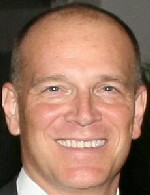 The speaker will be Jay Westermeier (Finnegan). The price to attend ranges from $89 to $129. Reporters are barred from attending most DC Bar events. This event qualifies for CLE credits. See, notice. For more information, call 202-626-3488. Location: DC Bar Conference Center, 1101 K St., NW. 9:00 AM - 1:00 PM. The Commodities Futures Trading Commission's (CFTC) and Securities and Exchange Commission's (SEC) Joint CFTC-SEC Advisory Committee on Emerging Regulatory Issues will meet. See, notice in the Federal Register, July 29, 2010, Vol. 75, No. 145, at Page 44781. Location: CFTC, Three Lafayette Centre, 1155 21st St., NW. 2:00 - 4:00 PM. The Department of State's (DOS) International Telecommunication Advisory Committee (ITAC) will meet to discuss preparations for the 2011 ITU-R World Radiocommunication Conference Preparatory Meeting. See, notice in the Federal Register, June 21, 2010, Vol. 75, No. 118, at Page 35122. Location: 1200 Wilson Boulevard, Arlington, VA. Deadline to reply comments to the Federal Communications Commission (FCC) in response to its Notice of Inquiry and Notice of Proposed Rulemaking (NOI and NPRM) [222 pages in PDF] regarding high cost universal service subsidies and broadband. The FCC adopted and released this item on April 21, 2010. It is FCC 10-58 in WC Docket No. 10-90, GN Docket No. 09-51, and WC Docket No. 05-337. See, notice in the Federal Register, May 13, 2010, Vol. 75, No. 92, at Pages 26906-26916. 10:00 AM. The Department of Commerce's (DOC) Bureau of Industry and Security's (BIS) Materials Technical Advisory Committee will hold a partially closed meeting. See, notice in the Federal Register, July 28, 2010, Vol. 75, No. 144, at Pages 44227-44228. The BIS will teleconference this event. Location: DOC, Room 3884, 14th Street between Constitution & Pennsylvania Avenues, NW. Deadline to submit reply comments to the Federal Communications Commission (FCC) in response to its Notice of Inquiry (NOI) [64 pages in PDF] that proposes to reclassify broadband internet access services as Title II services. The FCC adopted and released this NOI on June 17, 2010. It is FCC 10-114 in GN Docket No. 10-127. See, stories titled "FCC Adopts Broadband Reclassification NOI", "Reaction to FCC Reclassification NOI", and "Congress, the FCC, and Broadband Regulation " in TLJ Daily E-Mail Alert No. 2,097, June 18, 2010. See also, story titled "FCC Employs Fast Tracking and Stacking in Reclassification Proceeding" in TLJ Daily E-Mail Alert No. 2,098, June 21, 2010. See also, notice in the Federal Register, June 24, 2010, Vol. 75, No. 121, at Pages 36071-36088. Deadline to submit reply comments to the Federal Communications Commission (FCC) in response to its Notice of Inquiry (NOI) [30 pages in PDF] regarding Section 629 of the Telecommunications Act of 1996, which is codified at 47 U.S.C. § 549(a), and enabling electronics manufacturers to offer smart video devices at retail that can be used with the services of any MVPD and without the need to coordinate or negotiate with MVPDs. The FCC adopted and released this item on April 21, 2010. It is FCC 10-60 in MB Docket No. 10-91, CS Docket No. 97-80, and PP Docket No. 00-67. See, notice in the Federal Register, May 14, 2010, Vol. 75, No. 93, at Pages 27264-27271. Deadline to submit to the Copyright Royalty Judges (CRJ) objections to the negotiated royalty rates for the satellite carrier statutory license of the Copyright Act for the license period 2010-2014. See, notice in the Federal Register, July 13, 2010, Vol. 75, No. 133, at Pages 39891-39892. Deadline to submit comments to the Department of Homeland Security (DHS) regarding data collection forms for its Protected Repository for the Defense of Infrastructure Against Cyber Threats (PREDICT) initiative. See, notice in the Federal Register, June 14, 2010, Vol. 75, No. 113, at Pages 33629-33631. Deadline to submit comments to the U.S. Patent and Trademark Office (USPTO) regarding proposed changes to restriction practice in patent applications. See, notice in the Federal Register, June 14, 2010, Vol. 75, No. 113, at Pages 33584-33587. Deadline to submit initial comments to the Federal Communications Commission (FCC) in response to three public notices regarding FCC collection, use and dissemination of data. See, Media Bureau notice (DA 10-1195 in MB Docket No. 10-103), Wireline Competition Bureau (WCB) notice (DA 10-1189 in WC Docket No. 10-132), and Wireless Telecommunications Bureau (WTB) notice (DA 10-1223 in WT Docket No. 10-131). See also, FCC release. 8/5. The Senate confirmed Elena Kagan to be a Justice of the Supreme Court by a vote of 63-37. See, Roll Call No. 229. It was a party line vote, with all Democrats except Sen. Ben Nelson (D-NE) voting for the nominee, and all Republicans except Sen. Susan Collins (R-ME), Sen. Lindsey Graham (R-SC), Sen. Judd Gregg (R-NH), Sen. Richard Lugar (R-IN), and Sen. Olympia Snowe (R-ME) voting against the nominee. 8/5. Brooke Bacak will join the faculty of the University of Alabama law school. She is Chief Counsel on the Senate Judiciary Committee (SJC) staff of Sen. Tom Coburn (R-OK). She previously worked for Sen. Jeff Sessions (R-AL) and for the Republican Policy Committee. 8/5. The Senate Judiciary Committee (SJC) approved the nomination of Mary Helen Murguia to be a Judge of the U.S. Court of Appeals for the 9th Circuit by a unanimous roll call vote. Sen. Jon Kyl (R-AZ) spoke in support of her. 8/5. The Senate Judiciary Committee (SJC) unanimously approved the nomination of Edmond E-Min Chang to be a Judge of the U.S. District Court for the Northern District of Illinois (Chicago). 8/5. The Senate Judiciary Committee (SJC) unanimously approved the nomination of Leslie Kobayashi to be a Judge of the U.S. District Court for the District of Hawaii. 8/5. The Senate Judiciary Committee (SJC) unanimously approved the nomination of Denise Casper to be a Judge of the U.S. District Court for the District of Massachusetts. 8/5. The Senate Judiciary Committee (SJC) approved the nomination of Carlton Reeves to be a Judge of the U.S. District Court for the District of Mississippi with one vote against, cast by Sen. Tom Coburn (R-OK). 8/5. President Obama nominated Jacob Lew to be Director of the Office of Management and Budget (OMB). See, White House news office release. 8/5. President Obama nominated Cora Marrett to be Deputy Director of the National Science Foundation (NSF). See, White House news office release and release. 8/5. President Obama withdrew the nomination of John Sullivan to be a Member of the Federal Election Commission (FEC). See, White House news office release. 8/5. The U.S. Patent and Trademark Office (USPTO) published a notice in the Federal Register that announces, describes, and sets the effective date (August 5, 2010) for, a pilot program for ex parte reexamination proceedings "in which patent owners may waive the right to file a patent owner's statement upon a request made by the USPTO". The USPTO states that "This will enable USPTO in suitable cases to issue the first Office action on the merits together with or soon after the reexamination order, and thereby reduce the pendency of the proceeding by about three to five months". See, Federal Register, August 5, 2010, Vol. 75, No. 150, at Pages 47269-47270. 8/4. Microsoft announced, but did not release, a settlement agreement with Salesforce.com pertaining to patent infringement claims pending in the U.S. District Court (DDel) and U.S. District Court (WDWash). Microsoft stated in a release that "The cases have been settled through a patent agreement in which Salesforce.com will receive broad coverage under Microsoft’s patent portfolio for its products and services as well as its back-end server infrastructure during the term. Also as part of the agreement, Microsoft receives coverage under Salesforce.com's patent portfolio for Microsoft’s products and services."